Prime Minister Vladimir Putin met with a group of writers on Wednesday, telling them he welcomed a talented and constructive criticism of the authorities as a way of yielding positive results. 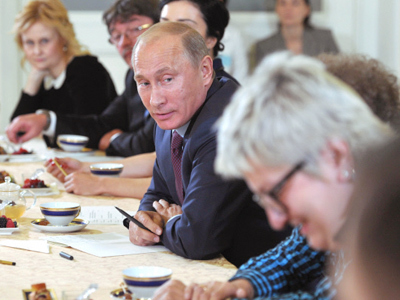 ­During a session of the Russian Book Union, an organization of writers and publishers, author Mikhail Veller asked Putin if it was possible for a writer in Russia to have a viewpoint that did not match the official one. 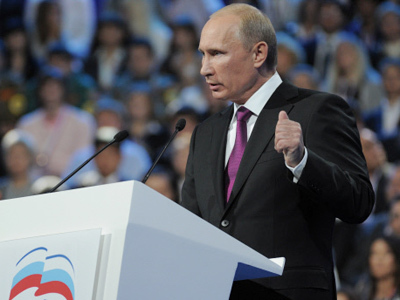 Putin responded that the criticism should be aimed at making life better without drawing attention to the critic himself. Putin noted that people in Russia like to give advice on all possible subjects – from football and ice hockey to governing the country. He said this was good as it was a sign that people were not indifferent to the fate of others. It was also a positive sign that the intellectual elite of the country were ready to share their opinions, he added. He added that it was sad when intelligent people, such as writers, chose to emigrate from Russia, while expressing the hope that the events that pushed them to such extremities would never happen again. “I hope no one will leave…and that we will hear criticism not only for the sake of criticism and not for self-admiration, but a motivated criticism that is seeking to change life for the better,” Putin said. One of the writers asked Putin about his position on some business people – specifically, the well-known businessman Gennadiy Timchenko, the head and the owner of the major oil trader Guvnor – acquiring second citizenship. Timchenko took Finnish citizenship some time ago. Putin said that he knew Timchenko personally, but added that he never had anything to do with his business. “Everything that is connected with his business interests is his personal affairs. 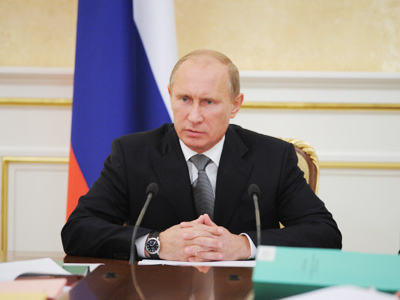 I never got into this and I do not intend to,” Putin said. There has been speculation in some western media that Putin had business ties with Timchenko's oil trading company. The Prime Minister also said he was aware that Timchenko had received Finnish citizenship, but added that this was done due to bureaucratic barriers on the borders between Russia and the European Union. “A lot of businessmen have similar problems; ninety percent of them conceal the fact that they have a green card, but (Timchenko) does not hide it." “Such a situation is impossible for me, but there are people…who want to travel the world and feel themselves citizens of the world. 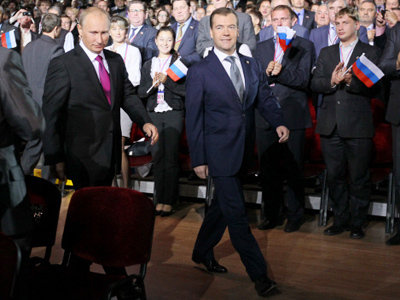 This is a civilized approach,” Putin said.